Hyundai Creta-rivaling India-spec Nissan Kicks: This is IT! The compact SUV market has been the biggest segment in terms of growth. Just a few years back, there was not many compact SUVs but now, almost every manufacturer has one model in the segment. 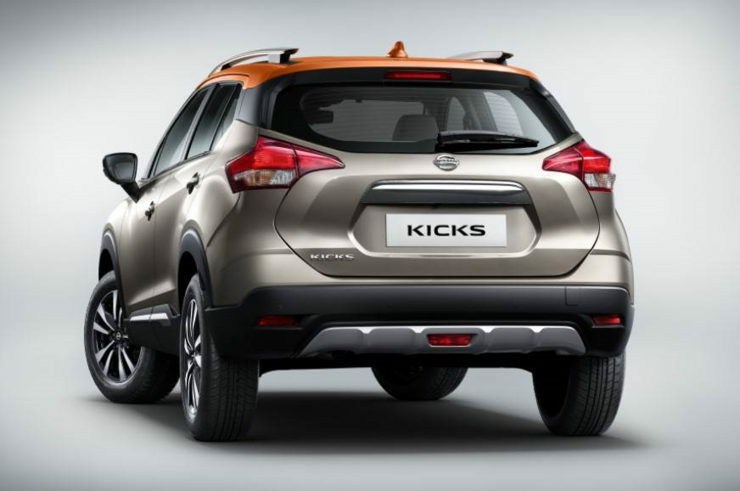 Nissan too is not playing weak has revealed its India bound Kicks compact SUV. However, this is only an exterior reveal and the company will share more on the interior and other aspects later on. We had already told you earlier that the Indian version of the Kicks will be larger in size than its international counterpart. To be exact, it measures 4,384 mm in length, which is precisely 89 mm longer than the model sold abroad. Its also wider (1,813 mm) and taller (1,656 mm), with a longer wheelbase (2,673 mm). This is because it is based on the same platform as the current Renault Captur. The ground clearance of the SUV is also expected to be more than 200 mm. Talking of the exterior design, the India-spec Creta challenger resembles the international model on almost all fronts. What’s new however is a redesigned front bumper with faux air vents above the fog lights and an aluminium skid plate. LED headlights also mark their presence on the car with boomerang-shaped LED daytime running lights. The grille is a honeycomb mesh affair flanked by a more angular ‘V’ chrome band. The India-spec Kicks gets muscular wheel arches, strong shoulder line, blacked-out pillars and the ‘floating roof’, finished in eye-catching orange along with prominent roof rails. The compact SUV gets stylish 17-inch alloy wheels, and is almost identical to the international model at the back, except for a chrome strip on top of the registration plate housing and a mildly redesigned rear bumper. The interiors haven’t yet been revealed by the company but will be roomier than the international model, thanks to the bigger size and wheelbase. It will also offer a generous amount of boot space, much more than what the international model offers. The interior design, however, is expected to remain the same along with identical five seat layout. There will be an 8.0-inch ‘floating’ touchscreen infotainment system with Apple CarPlay and Android Auto along with automatic climate control and several other goodies. The car is likely to feature same engine and gearbox options as the ongoing Nissan Terrano and Duster. This includes the 1.5 litre petrol motor and the 1.5 litre diesel. The petrol engine is produces 104.5 Bhp of power and 142 Nm of torque whereas the diesel unit churns out 108.5 Bhp of power and 240 Nm of torque. The car could also come with a CVT as an option. 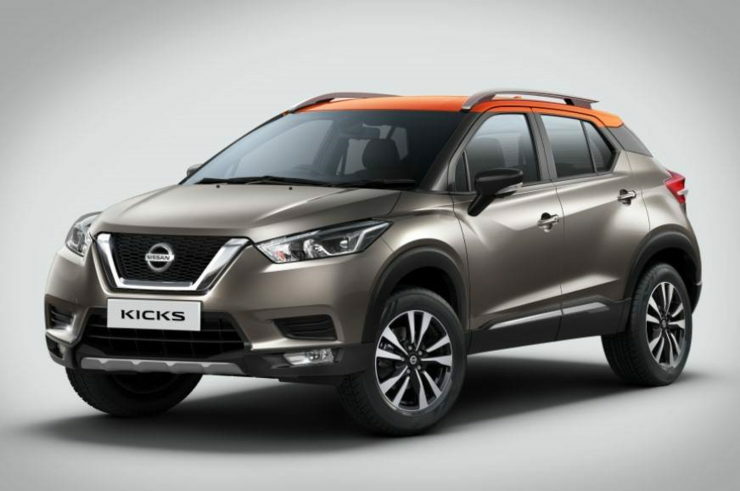 Nissan will position the Kicks above the Terrano, so expect prices for the Kicks SUV to range from Rs 9.4 lakh to 15 lakh (ex-showroom) when it is launched early next year.